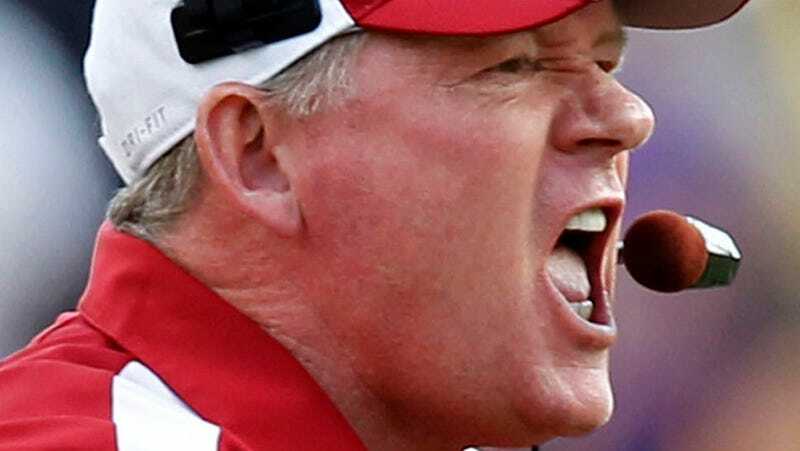 Multiple reports, following Yahoo's Pat Forde, are saying that Bobby Petrino — liar, scoundrel, indifferent recruiter, proven winner — will be the new head coach at Louisville, the very program he ditched in 2006 for a short stint with the Atlanta Falcons. After his cameo in Atlanta he went to Arkansas and enjoyed a few years of prolific points-scoring before crashing his motorcycle, getting caught romancing a staffer whose hire he may have illegally fast-tracked, and subsequently trying to enlist state police to help cover up the affair. In other news Wednesday, a wandering dog somewhere circled back to lap up its own cold vomit.